Desisting from involvement into any environmentally harmful practices. Planting trees on a regular basis. Making the campus a plastic-free zone. Making the campus a smoking-free zone. Arrangements of dustbins in every corner. Use of carpool services by the faculty members so as to avoid excess of air pollution. At Brainware Group of Institutions, we believe that in order for the students to excel academically, they must breathe in a secure and safe air. 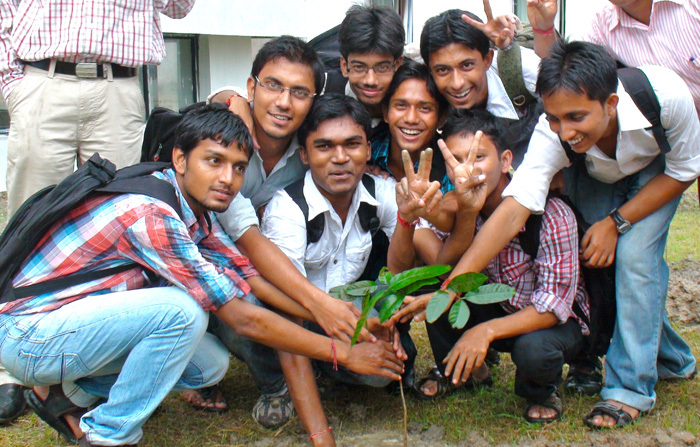 The students are regularly imparted lessons on the ethics of environmental preservation, so that even when they step out of the college, they always remember that they have a responsibility towards their natural environment.